YOUR NEW KITCHEN IS ONLY AS GOOD AS IT'S DESIGN, WHICH IS ONLY AS GOOD AS IT'S DESIGNERS. CLICK HERE TO SEE OUR 2013 "BEST OF HOUZZ" AWARD! 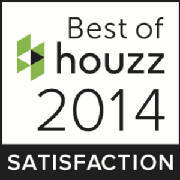 CLICK HERE TO SEE OUR 2014 "BEST OF HOUZZ" AWARD! 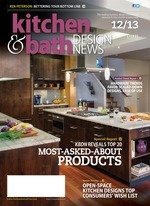 CLICK HERE TO SEE A 2-PAGE FEATURE ARTICLE ON J&B IN THE AUGUST 2010 ISSUE OF KITCHEN AND BATH DESIGN NEWS! CLICK HERE TO SEE ANOTHER 2-PAGE FEATURE ARTICLE ON J&B IN THE DECEMBER 2013 ISSUE OF KITCHEN AND BATH DESIGN NEWS! (between 70-90 per year consistently for over 34 years!). We have literally designed thousands of kitchens together for our clients. dealer, counter top fabricator, etc. that fits your scope of work and budget. We charge nothing to meet with you and do a preliminary plan of your new kitchen. Our specialty is kitchens in the $25K-$100K range. We'll design a kitchen for you that's as beautiful as it is functional. We will make it the "conversation piece" of your home. 1. Kitchens are all we do and we have over 500 written references Along with that, we've been featured in numerous national publications and have been awarded "Best of Houzz" 2 years in a row. See a few links above. 2. We're the only male/female design team in the 3 states that we cover. 3. We offer over 20 name brand cabinet lines. 4. We design/build full structural including below-grade foundation plans so we'll look at your kitchen with a totally different perspective. 5. We will work personally with you in selecting your appliances, countertops, flooring, backsplash tiles, lighting, etc. 6. We work together on every client's new kitchen from the start through all design phases. 7. Our initial design consultations are free! Because of the number of kitchens we do, our design fees are among the lowest in the area. 8. Our extensive cabinet lines allow us to fit your budget. 9. You'll see your new kitchen in computerized color renderings. 10. There are no issues in your kitchen that we haven't encountered hundreds of times. 11. We also offer all major brands of countertops, sinks/faucets, etc., etc. along with contacts for the best deals and service on appliances. 12. We utilize the best Kitchen Dealers in the business which we've been working with for years. Your project will have as little "down time" as possible and you'll always be kept in the loop. John Lewis and Brigitte M.
*We maintain 2 offices in the Northwest Chicago suburbs and cover from the Wisconsin to Indiana borders. Along with that, we've just opened an office in the Southwest Michigan area serving N.W. Indiana and S.W. Michigan. * We carry no showroom overhead, which keeps our pricing VERY competitive! * We utilize numerous kitchen showrooms in all the areas that we serve. * Because we work with numerous kitchen cabinet lines and aren't tied to any specific dealer, we can fit within your price range. We will absolutely do our best to reply to your inquiry within 24 hours from receipt. J and B Kitchen Designs has been doing kitchen designs and kitchen remodeling in Arlington Heights IL, Mt. Prospect IL, Des Plaines IL, Buffalo Grove IL, Prospect Heights IL, Schaumburg IL, Hoffman Estates IL, Barrington IL, Lake Zurich IL, Palatine IL, Rolling Meadows IL, Park Ridge IL, Niles IL, Skokie IL, Morton Grove IL, Lincolnwood IL, Harwood Heights IL, Norridge IL, Elmhurst IL, Elk Grove Village IL, Itasca IL, Wheeling IL, Northbrook IL, Deerfield IL, Vernon Hills IL, Libertyville IL, Roselle IL, Carol Stream IL, Bloomingdale IL, Mundelein IL for almost 30 years. We also offer over 20 name brands of kitchen cabinetry. If you're planning kitchen remodeling you should talk with J and B Kitchen Designs. Our kitchen designing and kitchen remodeling is the best in Chicago and Northern Illinois. Our kitchen cabinet installers have years of experience doing kitchen remodeling and installing kitchen cabinets. They can take your new kitchen design and make it a work of art. Kitchen designing and kitchen remodeling is all we do. Cabinet Manufacturer Contact Merit Kitchens cabinet manufacturer for beautifully designed and professionally constructed cabinets for kitchens & bathrooms. 1.855.591.3321. Southern California Home Improvement and Remodeling MalibuRemodeling your first and best choice for home improvements such as remodeling of Kitchens, baths, and more from start to finish - tear out to completion. We are a package deal home builder! Web Design West Palm Beach Seo Web Design West Palm Beach, Social Media, and Internet Marketing for Local small business. We are your SEO Gurus serving South Florida, the United States, and the World. Houston remodeling - "All Phase Renovations has been remodeling and improving homes with reliable and professional service for more than 20 years. Serving all of Southern Texas our experienced staff will plan, design and build all of your home improvement needs. We are a full service construction company with a "hands on" approach at every level.!" A manufacturers rep agency that represents cabinet manufacturers and decorative plumbing / hardware companies in California and Nevada.